Goodreads Synopsis: What if there was an app that told you what song to listen to, what coffee to order, who to date, even what to do with your life—an app that could ensure your complete and utter happiness? What if you never had to fail or make a wrong choice? 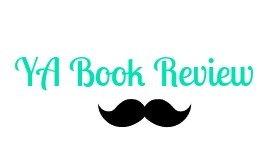 I have to say...I was completely blown away by everything Free to Fall by Lauren Miller had to over. I was expecting a dragging, dystopian book, but I got an amazing, heart pounding, plot twisted novel. It was smartly written and I loved everything about it. Hands down one of the best novels I read this year! I definitly was picking this one up! In Free to Fall, the novel was always moving and I like it when books do that. I mean who wants to sit there and read something that doesn't have a moving plot? Rory Vaughn was one of the most well-written characters I read. Her life completely changes when she is accepted to Theden Academy. In her world, everything is chosen for you from an app called Lux. It dictates what you should do and picks the best possible choices. Rory was a strong, fierece character I liked seeing her find and discover herself. You see her deal with choices like if she should listen to The Doubt or if the people around her are loyal and true. As she settles in Theden, she meets her fun and out-going roommate, Hershey. Lauren Miller kicks up the action and suspense and it only gets better. Free to Fall had an amazing plot line! Everything Rory found out or did made sense and lead to another. Miller also had the perfect balance of her cast of characters, you don't get drowned down. In addition, the reader gets hints of a romance bubbling alongside with suspense. I loved the parts in the book where I saw Rory piecing things together and they'll definitely be your favorite parts in the book also. The book also had a fresh take on dystopian novels. 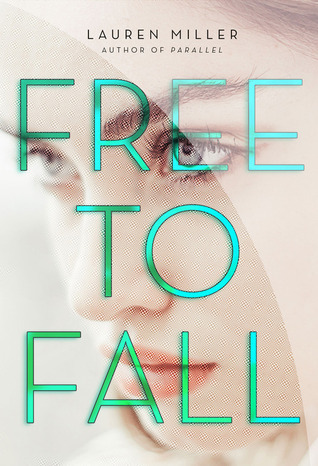 We see books with an overrun government or a heroine fitting for peace, but Free to Fall was a gem. Anyone will love it's plot line filled with all sorts of twists (trust me it was great), suspense, and revelations. LOVED IT. I definitely cannot wait to pick up Miller's other book, Parallel! Be sure to check this one out!